The mono black ramp I've made work best is built around Korlash, Heir to Blackblade , and to a lesser extent Lashwrithe 's amazing synergy with lifelinkers. The goal is to go over burn/pure aggro with lifelink/deathtouch, pressure control (and side in Distended Mindbender ), and take midrange to low enough life that a single burn spell ends the game. Damnable Pact is amazing in that shell, as it can both kill your opponent outright and refill your hand. Painful Quandary tends to outperform sanguine/blood in that deck if you need an enchantment, as you should be taking your opponents low enough that taking them 20-0 isn't needed, taking them from 7-0 is more likely. If your meta sees stuff like solemnity combo or finks combo, cards like Memoricide are more practical. 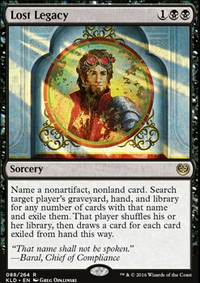 As much as I love divinity of pride as a card, it is best served in variants on the Phyrexian Obliterator / Gray Merchant of Asphodel shell where you find yourself with a lot of life. If you are dead set on making it work here, you need to look to close out the game with gary and pack a lot of hand disruption. chessmaster102 Hey! Sorry to take so long to reply, had a lot to hand IRL these past few months. I hope you are finding the Path and Trap combo useful! Now for your suggestions. With regard to Mind Funeral I do agree that it tends to compare poorly against Glimpse the Unthinkable. I personally average about 12 cards with it, sometimes only 8 but other times a staggering 18. With many players running low land decks and thinning with fetches I find it's mid to late game impact thrilling. While I do see the appeal of Breaking, I prefer the higher potential payoff from Mind Funeral so I take the risk over consistency here. Moving on, you will notice by my edits that I also was unhappy with Memoricide. I had considered Sadistic Sacrament on your suggestion but was also not fully convinced. Once the GRN spoilers hit however I opted for the Unmoored Egos. And finally the universal suggestion for this deck. Hedron Crab is absolutely a good card in this deck. I expect that if it doesn't get removed you can net a solid 12 cards per game from it, if not more. I personally don't like the loss of flavor by including him however. Additionally I find any spell-based deck, but especially creature-less decks, are very immersive; and personally that immersion drives me to play my best. So rather than play Hedron Crab and/or Jace's Phantasms, I stack the deck with cantrips for some thinning. I really appreciate the feedback though and am glad to see someone else out there how enjoys some good Esper Mill! Boza Glimpse the Unthinkable mills plenty of cards for a cheaper price yes, but they are sitting in the graveyard only and there are plenty of potential ways to bring those cards back or play them from the yard. Ego at the very least exiles its targets. 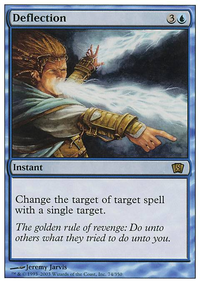 Memoricide or Slaughter Games both cost more and both have restrictions on what you can target so both would be weaker cards to me than Ego. We don't have to agree on the card's effectiveness. I just think it might have a little more use than people are expecting. FSims81, so spending a card and 3 mana to not impact the board and remove cards from a deck is a good thing? Glimpse the Unthinkable gives you 2.5 times more cards removed from a deck, for just 2 mana. Mill decks care about the quantity of cards removed, not the quality. That much is true about Extraction, but how about Memoricide or Slaughter Games, which cost 1 more than Ego, but exile with no downside or even with upside. Unmoored Ego is the same as Lost Legacy, except you can name lands and artifacts. How impactful was LL in modern in the year since it existed? Ego will have the exact same impact - there are few if any decks that rely on specific artifacts or lands (Tron, KCI and that is it). APPLE01DOJ on Golgari kills everything. How about some manlands to speed up the process. Mutavault, Hissing Quagmire or Treetop Village. I prefer Treetop myself. Also how about some discard mixed in. Stop some threats before they hit the table, also it's crucial considering how much of the meta isn't fair decks. Speaking of how about Memoricide or Infinite Obliteration for the side to pick out vital pieces. Since your deck is playing the long game Demon's Horn could help out. I see what you're saying about Reap Intellect. The main reason I thought it would be ok is that I actually don't really know a lot about modern. It's probably a good one to drop. Unmoored Ego looks fantastic! I'll definitely put it in once the site updates. I think I may actually cut Infinite Obliteration for it, rather than Memoricide, since that one can still hit more general targets. Unmoored Ego can also be pitched for Disrupting Shoal which is super nice. 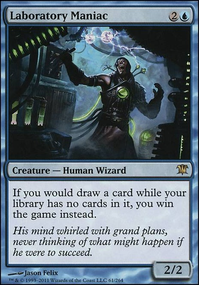 I think I'll replace the Reap Intellect with Serum Visions, and maybe the Obliterations with Opt. Seems a nice deck, but I would suggest Unmoored Ego instead of Memoricide. Do you manage to have some cards in hand in mid game? Cause I see you don't have anything that let's you draw. Maybe some Thought Scour, Remand, Serum Visions or Opt? 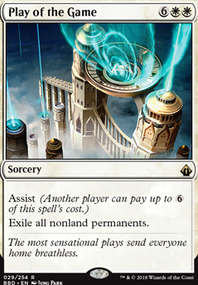 I understand the power of Infinite Obliteration, but you have tons of things that exile opponent's creatures (Surgical Extraction, Extirpate, Lost Legacy, Reap Intellect, Memoricide/Unmoored Ego), why don't you cut it and add something that lets you draw cards, or Inquisition of Kozilek, or even Archive Trap or Snapcaster Mage? And sorry for the stupid question, but I can't understand why Reap Intellect would be a finisher. I mean, by the time you cast that card your opponent has none or only few cards in hand (cause you made him discard/exile everything) and most of the times the remaining cards in his hand will be lands, that you can't discard. So how is Reap Intellect supposed to be a finisher?